Jalingo—NO fewer than three persons have been confirmed dead, while several others are under watch in Jalingo, Taraba State capital, following the outbreak of Lassa Fever in the state, World Health Organisation, WHO, has said. Surveillance Officer of WHO, Dr. Bello Ahmed, disclosed this yesterday at a sensitisation workshop on Lassa Fever, organised by the state’s Ministry of Health. Bello, who said six local governments—Bali, Ibi, Gassol, Gashaka, Jalingo and Ardo-Kola— in Taraba State have been placed on red alert, explained that two deaths have so far been recorded in Jalingo and one in Ardo-Kola, putting the state at 25 percent infection rate. The WHO representative further explained that the survey was conducted between January 1 an 28, with 367 contacts identified across the country and urged the public to be mindful of their personal hygiene and safety to mitigate the spread of the disease. His words: “We are planning collaboration with the Federal Government to develop a test kit for rapid diagnosis to complement the diagnosis centre at Irrua Specialist Hospital. Taraba State Commissioner for Health, Dr. Innocent Vakkai, in his remark, said the workshop was part of the state government’s efforts at creating awareness to mitigate the spread of the disease. Meanwhile, Dr. Chikwe Ihekweazu, National Coordinator, Nigeria Centre for Disease Control, NCDC, yesterday, said 21 deaths have been recorded from 77 confirmed cases in the current outbreak of Lassa Fever in the country. Ihekweazu, who disclosed this at the opening ceremony of the National Executive Council meeting of National Association of Resident Doctors, NARD, in Abuja, said of the 77 confirmed cases, 10 affected health workers. He quoted Dr. Sylvanus Okogbeni, Chief Medical Director, Irrua Specialist Hospital, Edo, as confirming that two of the health workers affected were discharged on Monday. 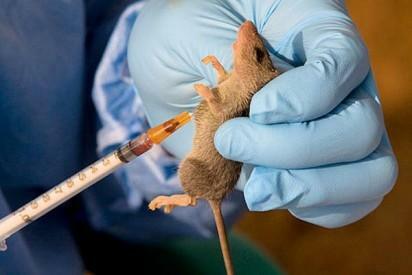 The post 3 dead as Lassa Fever hits Taraba appeared first on Vanguard News.